Remakes, reboots, and reunions are particularly in vogue right now. But the latest reunion news isn’t exactly music to our ’90s kids’ ears. 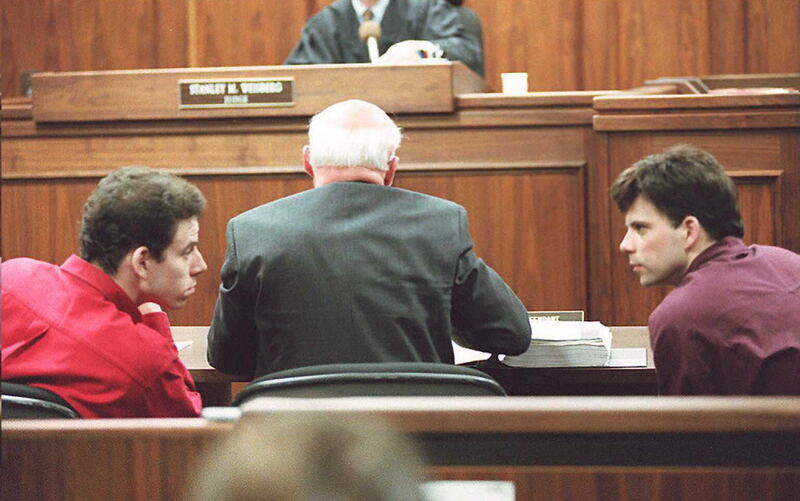 The Menendez brothers reunited in prison, and we think we’ll pass on this one. What did the Menendez brothers do, exactly? Lyle and Erik Menendez were sentenced to life in prison for murdering their parents, José and Kitty Menendez, in 1989. The murder took place in their home, a rental at the time, at a now infamous address: 722 North Elm Drive in Beverly Hills. They were the subjects of Law & Order True Crime: The Menendez Murders, a dramatization of their trial that starred Edie Falco and aired in fall 2017. Lyle and Erik were 21 and 18 at the time of the murders. The brothers confessed to killing their parents, claiming their motive was that they had been sexually abused by them for years. Prosecutors did not believe their claim, instead putting forth that the brothers wanted to inherit their family’s $14 million fortune. Now, years later, they’re in the same housing unit in prison. In February, Lyle moved from Mule Creek State Prison in Northern California to R.J. Donovan Correctional Facility in San Diego. At the time, they lived in separate housing units. But now, Erik has been moved into the same housing unit as his brother. There’s something a little unsettling about knowing the Menendez brothers are back together. There’s no confirmation that the Menendez brothers have been in contact yet. "He had been asking for it, and the department could find no reason they could not be at the same prison," corrections department spokeswoman Terry Thornton told New York Daily News. "Just because they're in the same unit doesn't mean they've had contact yet, but it's a programming facility, meaning the inmates participate in rehabilitation programs and have the ability to interact with one another." This is one ’90s reunion we think we’ll skip.